Kelvin’s the ultimate genius misfit. Why? He’s the only human kid at a school on the far side of the galaxy! 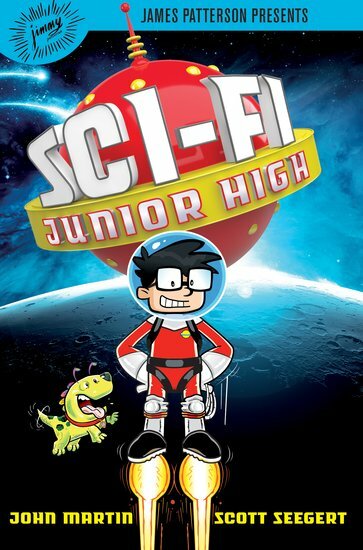 Sci-Fi Junior High is a long way from Earth. About 390 trillion miles, in fact. All the other pupils are aliens – but they’ve heard plenty about Kelvin. To be precise, they’ve heard that he’s a genius, just like his scientist parents. But what they don’t know is that Kelvin’s own geniusness hasn’t exactly kicked in yet. Still, that’s the least of Kelvin’s troubles. How is he going to fit in? What’s the canteen food like? And how will he defeat an evil world-conquering scientist in a stuffed bunny disguise?